Gucci's runways are always packed full of eye-catching accessories, and the Resort '19 show was no exception. 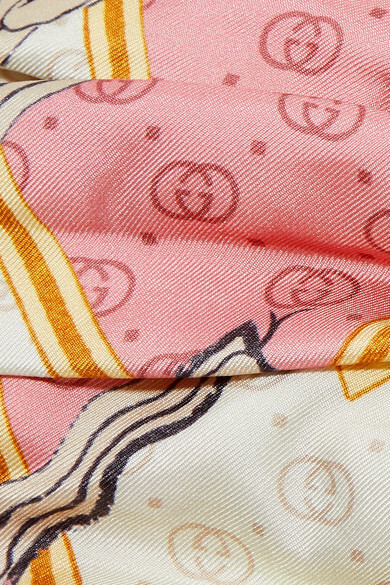 Reminiscent of styles worn in the '20s, this silk-twill headband has been made in Italy and patterned with a vintage-inspired print that incorporates the house's 'GG' logo. Wear it with tousled locks and a swipe of pink lipstick. Shown here with: Mara Hoffman Dress, Alighieri Necklace, Jennifer Fisher Earrings, Magda Butrym Necklace.